beautiful results. Teeth whitening is one of the simplest and most budget-friendly ways you can transform your smile. That said, some patients still hesitate when it comes to getting whiter teeth. You might be concerned about the risk of sensitivity or maybe you already have sensitive teeth and don’t want any further discomfort. If you’re on the fence about brightening up your smile with Marietta cosmetic dentistry, you should keep these facts in mind. Watch out for acidic beverages. Acidity is a primary cause of tooth sensitivity. Your tooth enamel wears down significantly faster the more acidic the mouth is. Consider swapping your morning coffee for a cup of tea, limiting your soda intake, or even cutting acidic drinks from your daily routine entirely. Use water to minimize acidity. You should do a lukewarm rinse of water after each whitening treatment. If you are especially concerned about sensitivity, you might consider using alkalized water or an oral rinse to maintain a healthy pH level. Change your toothpaste. Look into using a toothpaste that’s been specially formulated to both soothe irritation and build your enamel. Note: Sensitivity is a common side effect of teeth whitening that should pass over time. If your tooth sensitivity persists or other problems arise, you should contact your dentist immediately. You don’t have to live with discolored teeth. After a thorough examination, we can recommend the best solution for whitening and brightening your smile. We offer many whitening solutions to dramatically brighten teeth and improve your smile, from in-office to at-home. 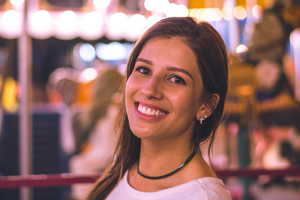 Get the brilliant smile you want: contact or call our office in Marietta today for more information about how to minimize sensitivity while getting whiter teeth.